Spirulina is one of the so-called "superfoods" praised by users for having several nutritional and health benefits. Among the dangers are potential adverse effects from contaminants and the lack of reliable scientific evidence on safety and benefit claims. Spirulina, a blue-green algae, can be contaminated with bacteria, heavy metals, and other toxins. Allergic reactions, bowel distress, and organ damage are among the potential adverse effects these contaminants might cause. The presence of dangerous toxins in a spirulina product depends on the how the aquatic cyanobacteria is grown, harvested, and processed. People can be allergic to almost anything on the planet. In addition to viruses, bacteria, medications, animal dander, and other substances, spirulina, like multiple other plant life and foods can cause reactions and allergies. Allergens trigger a person's immune system to go on the defense to fight off the deadly invader. Allergic reactions to spirulina can be mild and might include a skin rash or skin discomfort. Usually mild allergy symptoms go away on their own after people stop taking spirulina. Rarely, a severe reaction can occur, which includes hives, difficulty breathing, and asthma-like symptoms. If have these severe reactions after taking spirulina, you will need medical attention. Stop taking the product and see a physician immediately. An unpleasant reaction to spirulina is diarrhea and upset stomach, including pain, nausea, and vomiting. This is likely caused by taking too much of a spirulina brand that is contaminated with bacteria and microcystins. According to Maryland's Calvert County Health Department, this toxin is made by another type of blue-green algae, microcystis aeruginosa, which might be accidentally harvested with spirulina. The bowel symptoms should improve shortly after you stop taking the supplements. Always follow label and package directions of each brand carefully and never exceed the manufacturer's recommended dose. If you switch brands, read the label to ensure you're taking spirulina supplements according to package directions. Spirulina can be contaminated with heavy metals, according to the book Spirulina Platensis Arthrospira: Physiology, Cell-Biology and Biotechnology. There is potential heavy metal toxicity or poisoning and organ damage could occur if spirulina is taken in large doses. Fortunately, death from heavy metal poisoning from spirulina is rare. How does a blue green algae poison someone? 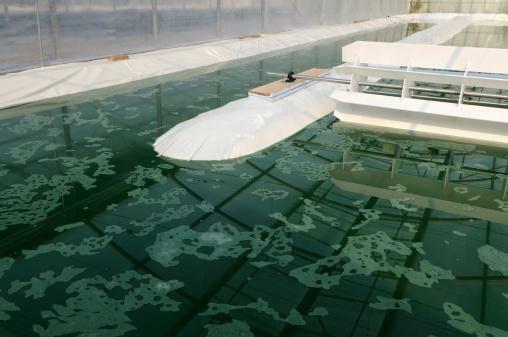 The answer lies in where the algae was grown and in how it is harvested. The spirulina algae grows on lakes, ponds and in man-made farms. If the spirulina water contains heavy metals such as mercury, lead, cadmium, or arsenic, the algae will absorb these metals. They will still be present after spirulina is harvested and dried into a supplement. MedlinePlus notes blue green algae microcystin toxin is a liver poison. Using spirulina contaminated by microcystins and other toxins could poison and damage your liver. It might also be toxic to other organs as well as lead to shock and death according to the reference. Microcystins can also irritate the eye and throat according to the Environmental Protection Agency (EPA). According to the MedlinePlus reference, spirulina and other blue-green algae might slow the clotting of blood and cause easier bruising and bleeding. This is because of its high vitamin K content. The risk is greater if you take spirulina with herbs that also interfere with blood clotting. These include ginger, turmeric, garlic, cloves, and ginseng. You should also take caution if you are taking medicines that thin the blood such as aspirin, Advil, Motrin, Naprosyn, Plavix, and Coumadin. 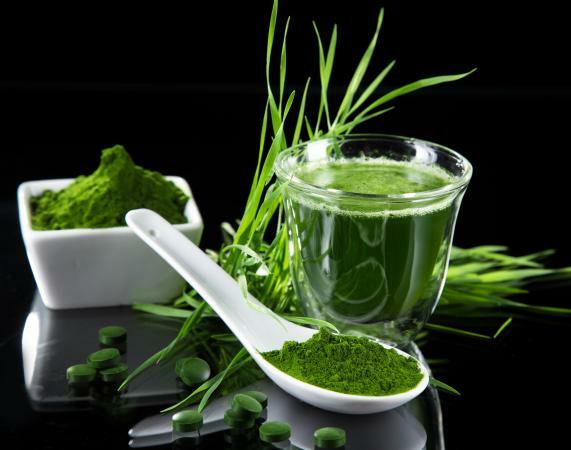 Spirulina might increase activation of the immune system, notes the University of Maryland. This could cause worsening of the symptoms of autoimmune diseases such as multiple sclerosis, lupus, and rheumatoid arthritis. By boosting the immune system, spirulina might also decrease the effectiveness of immune suppression medicines according to the MedlinePlus reference. The University of Maryland reference above advises that spirulina could be a danger to people with phenylketonuria (PKU). This is because the supplement has a high content of the phenylalanine. People with PKU cannot metabolize the amino acid and could get sicker if they use spirulina. Spirulina, along with chlorella and other blue-green algae types are often promoted as the latest health superfood. According to the University of Maryland reference above, spirulina contains an amazing amount of nutrition packed into each tiny single-cell organism. The algae is high in protein, beta carotene, vitamins, especially A and B12, iron and other minerals, antioxidants, and essential fatty acids. People credit spirulina for helping serious diseases such as ADHD, children with autism, infections, allergies, mouth cancer, as well as for boosting immunity and treating vitamin deficiencies. Spirulina might also have other health benefits, but the scientific evidence is not sufficient to prove any of the health claims. Spirulina is generally considered a safe supplement for the majority of people, according to a United States Pharmacopeial Convention committee study. However, to be safe, pregnant and nursing women should avoid taking spirulina supplements. There is the potential toxicity of the heavy metals on the brain and nervous system of the fetus and infants. Don't take megadoses of spirulina, which could increase your exposure to toxins. Never use spirulina or algae you harvested in the wild as it might be contaminated with organisms, microcystins, and heavy metals. Without the proper processing and testing, you have no way of knowing of its safety. Just because a body of water looks clean doesn't mean it is free from contaminants. To decrease your risk from using spirulina, buy quality brands from trusted suppliers. Many brands test their products in their labs and provide results to the public. Fortunately, most of the spirulina used in the United States is grown under controlled conditions, but it can still be contaminated from substances in the water it is grown in. If you're concerned about heavy metals or other toxins in your spirulina supplement, contact the manufacturer for testing and ask for their test results. Follow the label directions and take only as much spirulina as is recommended to control your risk of exposure to heavy metals in the product. Spirulina can be a great dietary supplement. Yet despite all the healthy goodies packed into each tablet or teaspoon of powder, the algae should be taken with caution because of the potential dangers of contaminants. Use common sense, discontinue the product if any side effects occur, and choose high quality supplements to be safe.